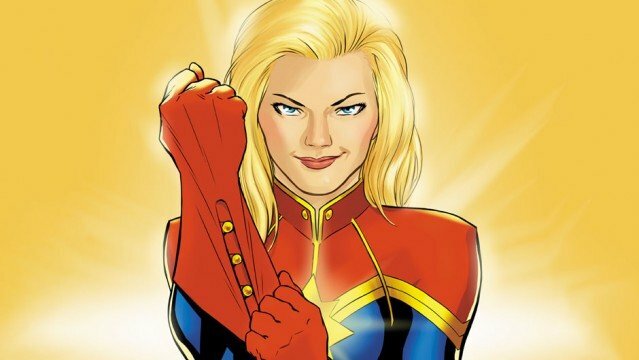 After meeting with “lots and lots” of candidates, Marvel called off the search just yesterday after the studio tapped Anna Boden and Ryan Fleck (Mississippi Grind) to take the reins on Captain Marvel – and Kevin Feige couldn’t be happier about the outcome. At the ongoing press event for Guardians of the Galaxy Vol. 2, Fandango caught up with Marvel’s head honcho – undoubtedly one of the most influential architects of the Marvel Cinematic Universe – to discuss James Gunn’s spacefaring sequel. But as news of Boden and Fleck’s recruitment broke, the outlet also slipped in a question about one Carol Danvers, and it was here that Feige claimed Boden and Fleck are perhaps the perfect fit to helm the Brie Larson-fronted solo movie. And though he tip-toes around pertinent story details, Kevin Feige told fans to expect “a lot of spectacle” with Captain Marvel, before stressing that Boden and Fleck will be able to strike that sweet balance between character-driven drama and CGI wonder. Captain Marvel takes flight on March 8th, 2019. If those early rumors are to be believed, then Marvelites can expect Brie Larson’s heroine to make her debut in next year’s Avengers: Infinity War. Still no update on that front just yet, but we’ll keep you right up-to-date as this story develops. Guardians 2, meanwhile, makes a beeline for theaters on May 5th.